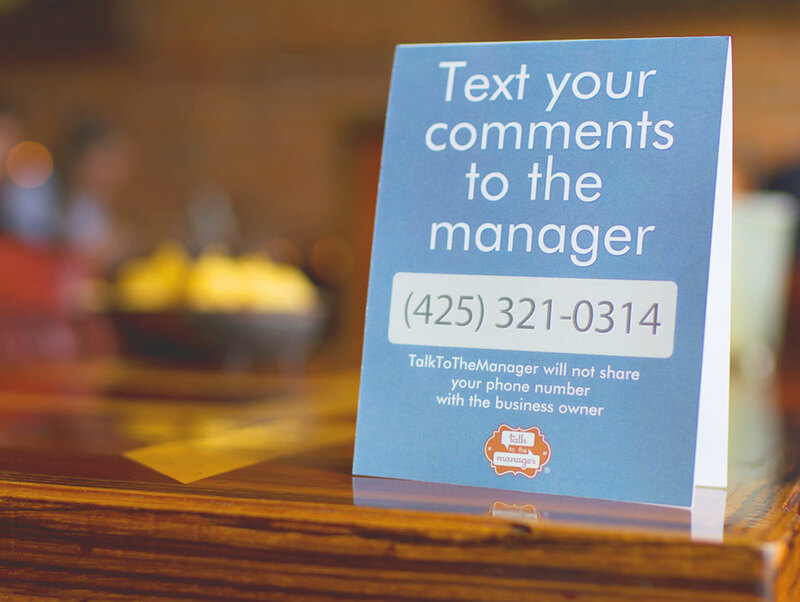 We greatly appreciate that you're interested in writing about TalkToTheManager. Your readers will find our service very interesting. "You can text the manager? What?" A TalkToTheManager table tent at a restaurant. Customer texting a TalkToTheManager phone number. Retain customers - Don't lose another customer. Give them a way to reach out. Intercept complaints - Fix issues immediately in private, instead of in public on a reviews site. Save money - Discover operational, service, product, and facility issues you never expected. Improve your ratings - Fix issues while the customer is still at your business. Over time you'll have fewer negative reviews. Show customers you care - You'll be admired, and different from your competition. 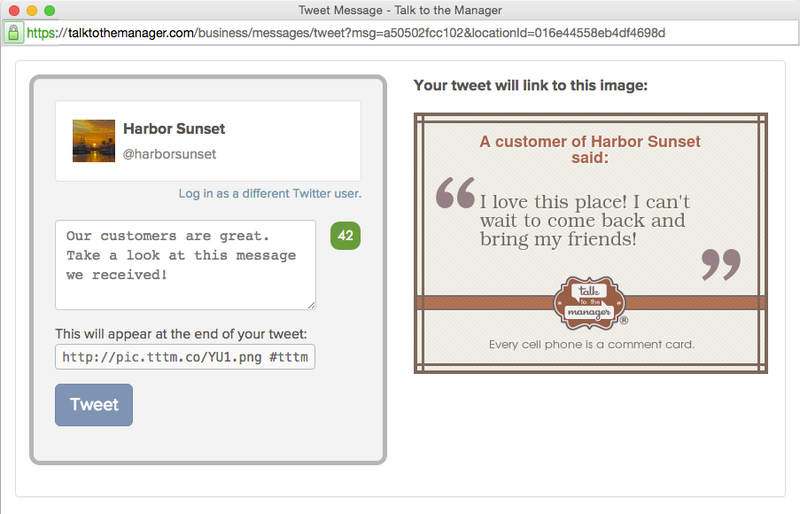 Over 75% of customer comments received through TalkToTheManager are positive. A Harvard Business School study found that a one-star increase in Yelp rating leads to a 5-9 percent increase in revenue. 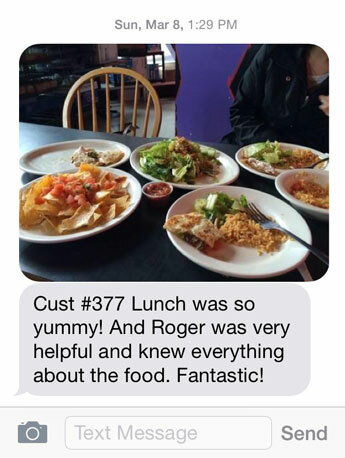 Managers can respond to customers by text or email. Customers and managers won't see each other's phone numbers. It's anonymous both ways. 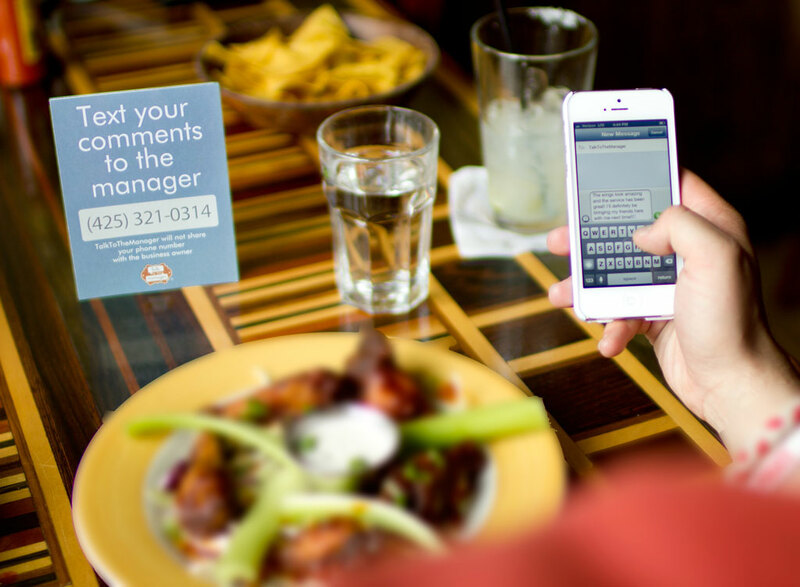 TalkToTheManager isn't just for restaurants. There are many different types of businesses having success with the service.